There are lots of duct tape ideas that can make you get with charming jewelry with just a few creative and formative hand tweaks. Just be attentive toward the ordinary stuff and useless material which is lying around you and make them useable and worthy for home by giving them sharp and creative focus. Here we have some DIY duct tape prom jewelry which we have achieved by just molding and cutting the duct tape in productive and yielding way and get amazing DIY duct tape jewelry out of it. A cardboard work great by combining with duct tape it provides it required thickness which resist its unwanted and undesired molding so that’s why in most of duct tape tutorials we use the cardboard for the duct tape. 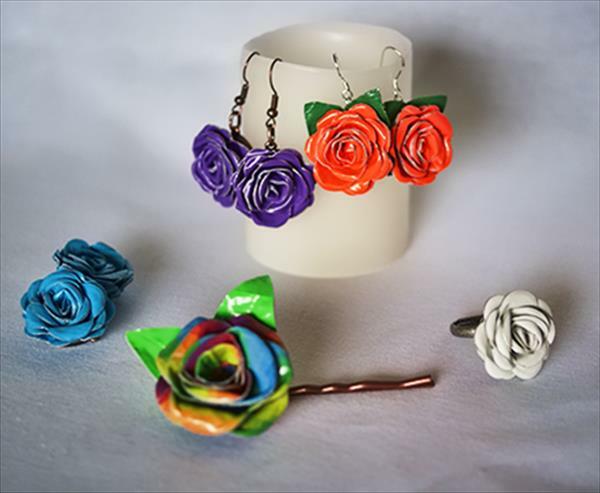 Here we have also gone for a charming art work which came up with a nice duct tape rose which be used in multiple ways like as earring, rings and on hairpins to raise them in beauty. First of all we took a piece of cardboard and wrapped with duct to have some thickness in the duct tape sheet. This sheet will be targeted to Dies for leaves and rose pattern out of it. The basic thing in all these crafting work is to achieve the DIY duct tape flower pattern, we used the 3D Die for rose shape and used and another die for leaves. 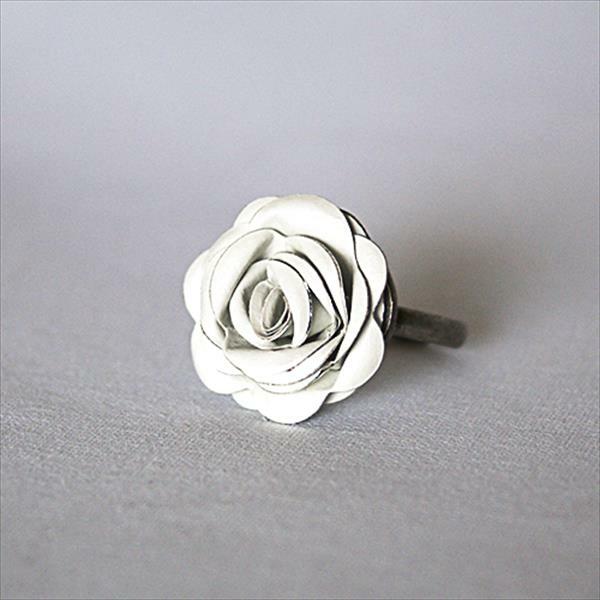 Coil the outer layer of the rose pattern on a toothpick be starting from the outer side toward the center and mold it cleanly around the toothpick. Now put the glue on the rolled shape and make it tight for some time until the glue takes the hold and grip. 30 seconds will be enough to make it firm and tightly settled. 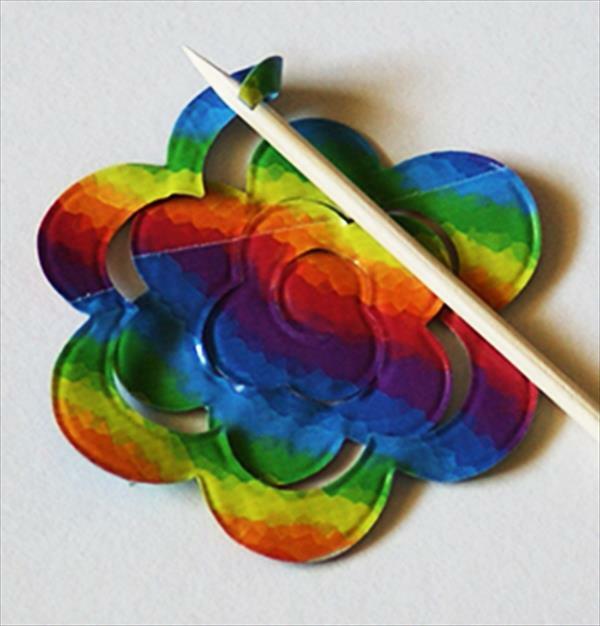 One you prepared it make it fixed with the rest of flower pattern to complete the rosette shape and add leaves if needed by using the second one leave and petal die. 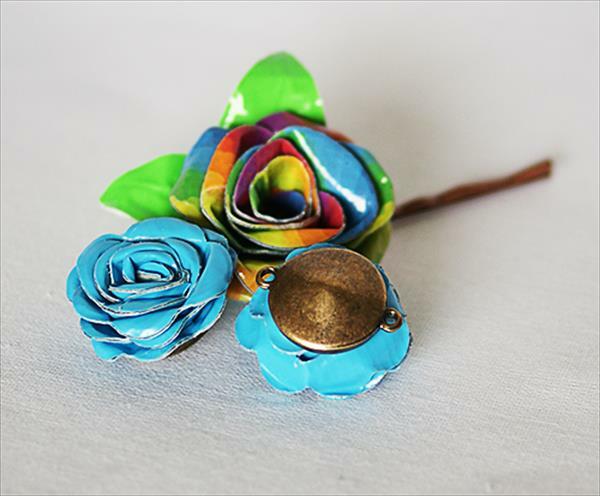 Now this rosette have multiple aspects for its usage you can make a ring, earrings and hairpins by using this duct tape rosette. 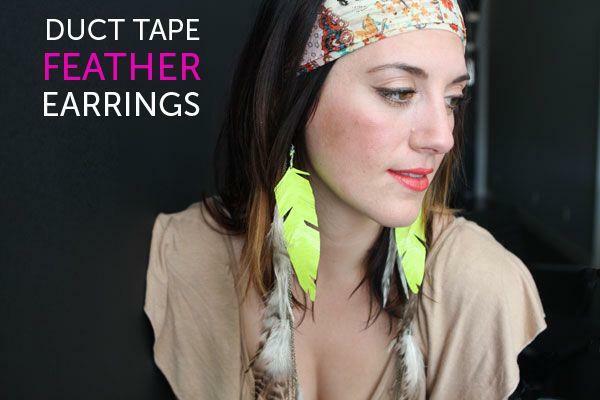 Here we have given some chic suggestions to get some snazzy and dainty duct tape pieces. 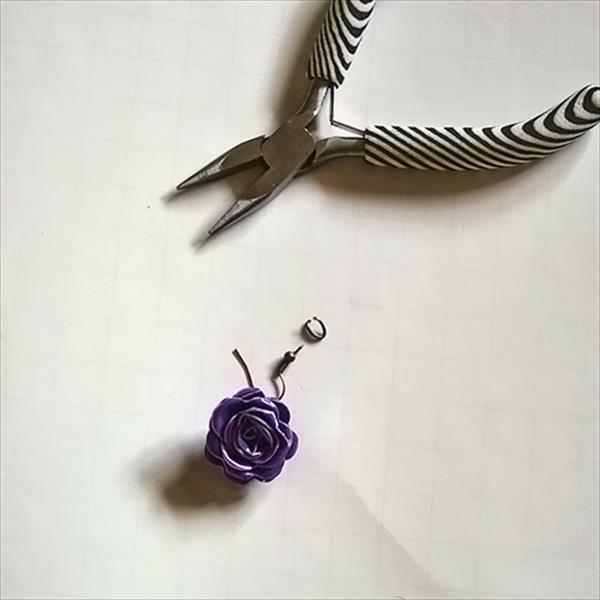 To make earring from this duct tape rosette we glued on a rivoli holders which have a two ring connector at both sides. Then we make a pass through of ear wire through the connecter and here are your earrings. If you want to jewel your earring some extra then use the other side of the connector to hand some crystals and beads. For hairpins we glued the blank hairpins and then spiced it up with a beautiful duct tape rosette head and here are your duct tape hairpins for cool hair fashion and looks. 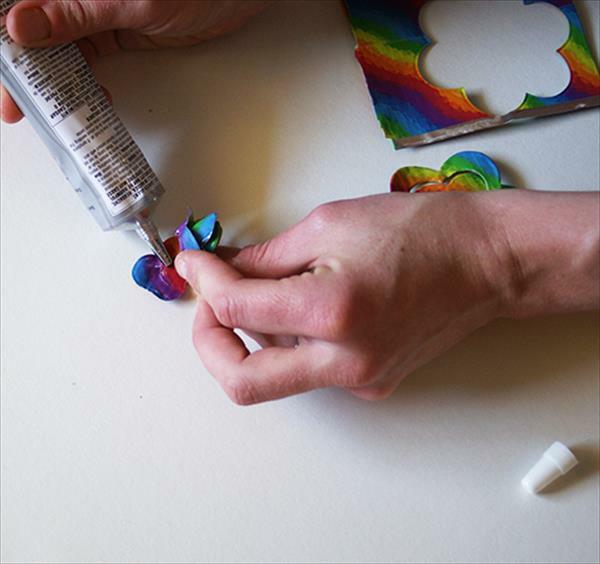 For a cool ring for your hands make it fixed simply on a ring blank and enjoy a fashionable DIY duct tape jewelry item on a much thrifty budget with charming and vibrant colors.